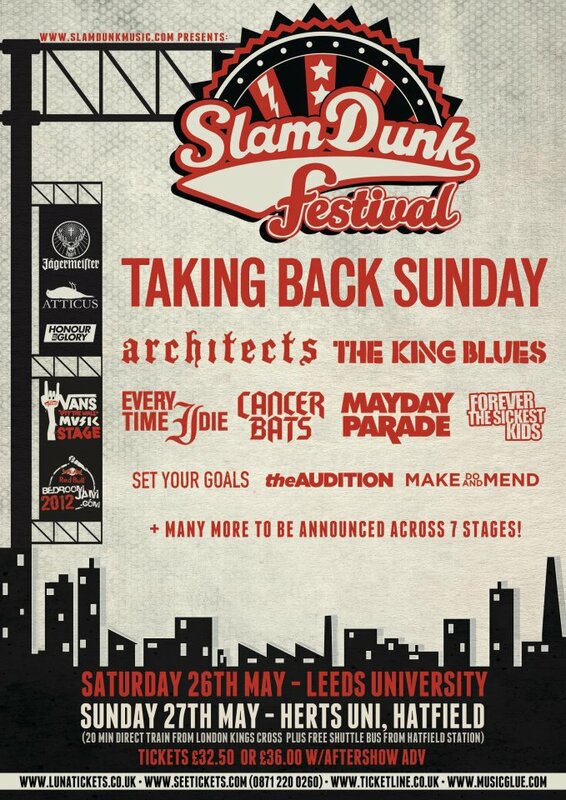 Now in it's 11th Year Slam Dunk is stronger than ever! Taking place in not one but two locations over the May Bank Holiday weekend, the Est.1987 crew will be on the Leeds site bringing you all the latest music news! 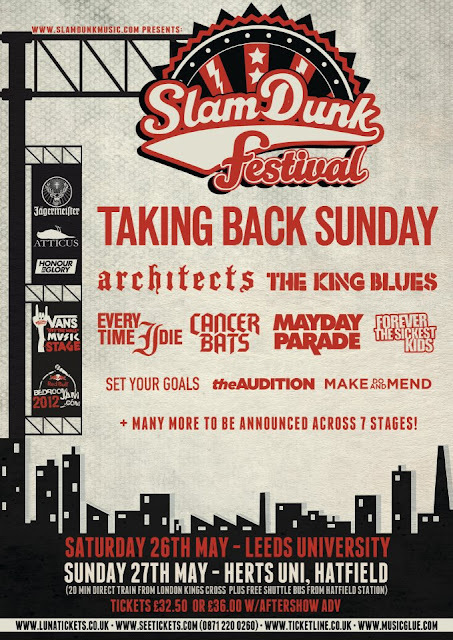 Here's a reminder of what went down at Slam Dunk 2011 including Goldfinger, Less Than Jake and Hellogoodbye: read it HERE. Year after year this is a sell out so get your tickets from 9am tomorrow! Keep locked to Est.1987 where we will bring you all the latest line-up announcements and be previewing the bands we think you should be checking out on the day. In the mean time we recommend you get on board the hotly anticipated return of one of this years artists- The Audition. Their latest EP, "Chapter II" was released earlier in the week and we can not get enough of it! Get it on iTunes now!